What makes a cat a cat? Alert, adorable ears? Luxuriously soft fur? Those enchanting meows and purrs? But what about cats that don't exhibit such iconic, cat-like characteristics? Can a cat be a beloved kitty without, say, a tail? Or the ability to meow? These seven amazing cat breeds will erase any stereotypical ideas you may have about what it means to be a cat. Did you know? 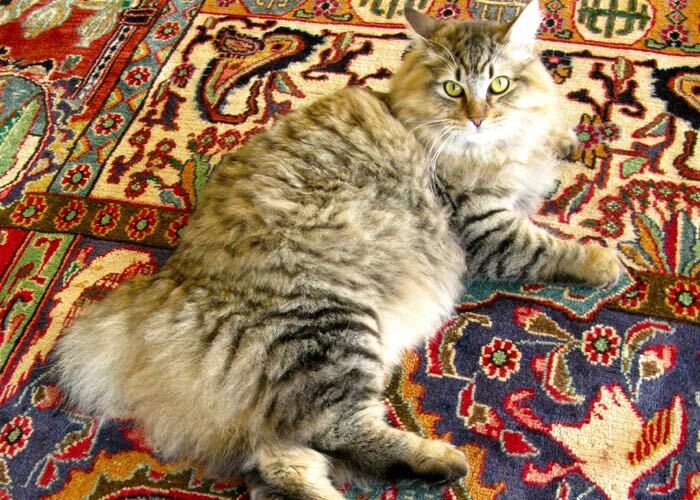 As the name suggests, the American Bobtail has a very short "bob" of a tail, usually one to four inches long. Special trait: Many American Bobtails possess a penchant for travel. That's why they are a popular breed for long-distance truckers. Photo Credit: "the amazing tiger : santa barbara (2009)" by torbakhopper via Flickr. License info. Did you know? Sphynx cats are essentially hairless. Experts believe a genetic mutation originally caused this unusual characteristic. Special trait: Wrinkles! 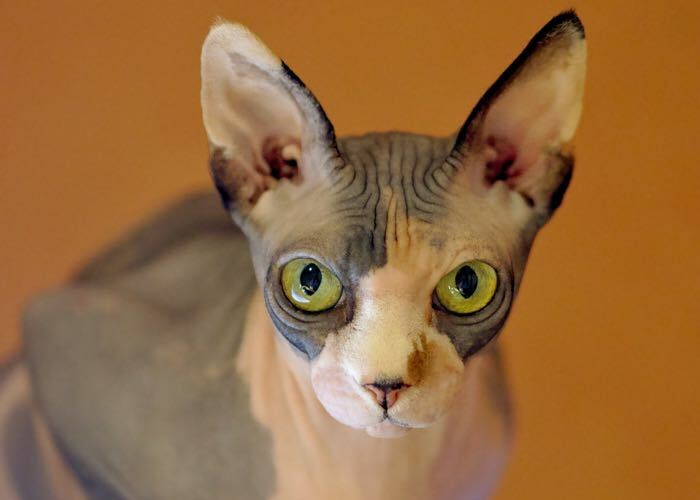 The lack of hair exposes all the delightful wrinkles kitties have under their skin. Photo Credit: "Gaya" by totte71 via Flickr. License info. Did you know? The Manx is the only breed of domestic cat that does not have a tail. At all. Special trait: Manx cats are often described as "dog-like" and they LOVE to play. Photo Credit: "Lucy's Nap" by A.Davey via Flickr. License info. Did you know? 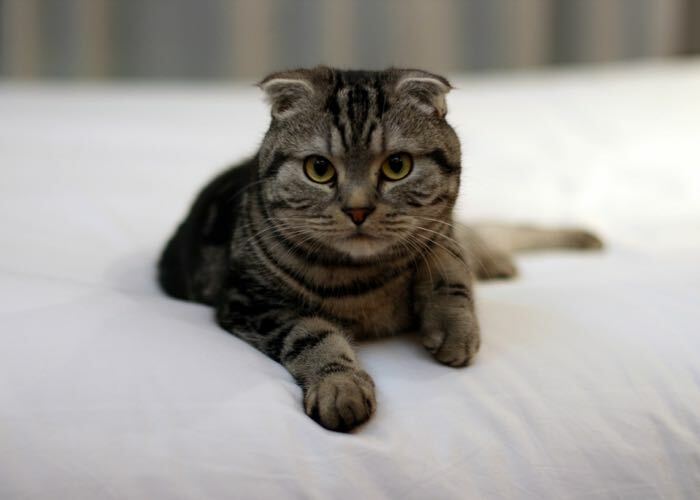 The Scottish Fold cat has ears that fold forward, giving him an almost earless look. Special trait: Scottish Folds are generally calm, adaptable and loving — and they're known for especially loving their families! Photo Credit: "Scottish Fold (折耳猫)" by Tom Thai via Flickr. License info. Did you know? This short-tailed breed is native to Japan and is one of the oldest-known breeds. Special trait: Japanese Bobtails are athletic, intelligent and energetic. They even excel in agility. 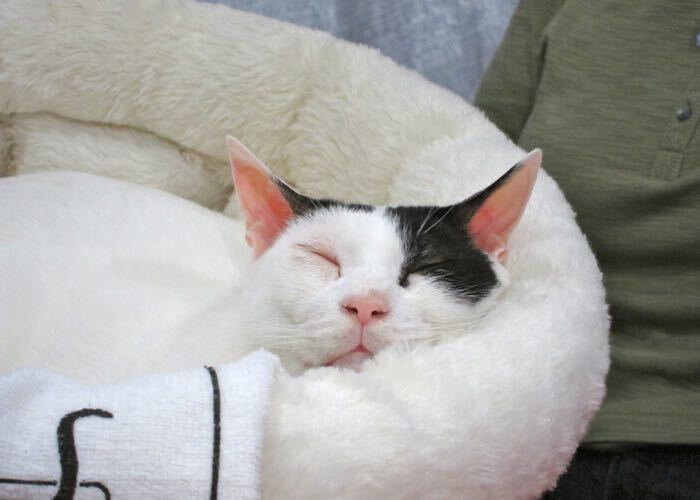 Photo Credit: "Japanese bobtail cat nap" by Petful via Flickr. License info. Did you know? These beautiful blue French cats sometimes purr or chirp, but they are unable to meow. 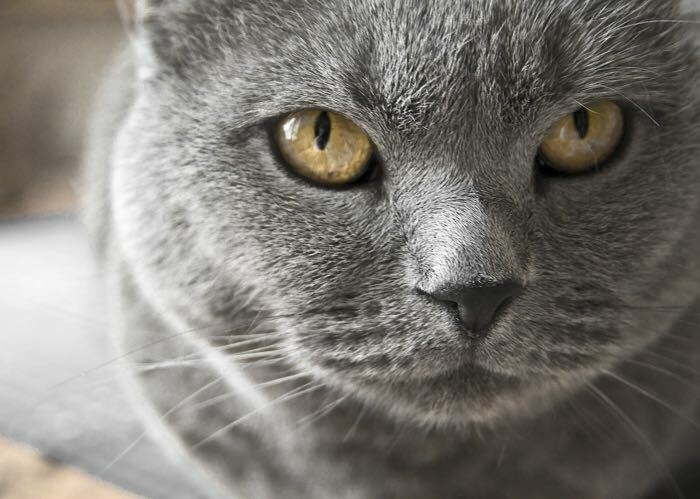 Special trait: Chartreux cats are noted for having beautiful "smiles," which are a result of the breed's distinctive facial shape. Photo Credit: "Hedy" by Leo, The Soundmonster! via Flickr. License info. Did you know? These adorable alien lookalikes sport an array of unique physical characteristics, including large ears and curly coats. 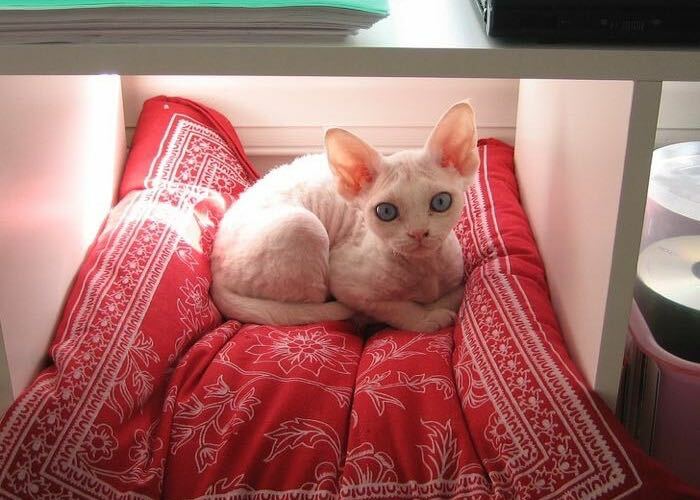 Special trait: Devon Rex cats display endless enthusiasm for life and are known for their gregarious personalities. 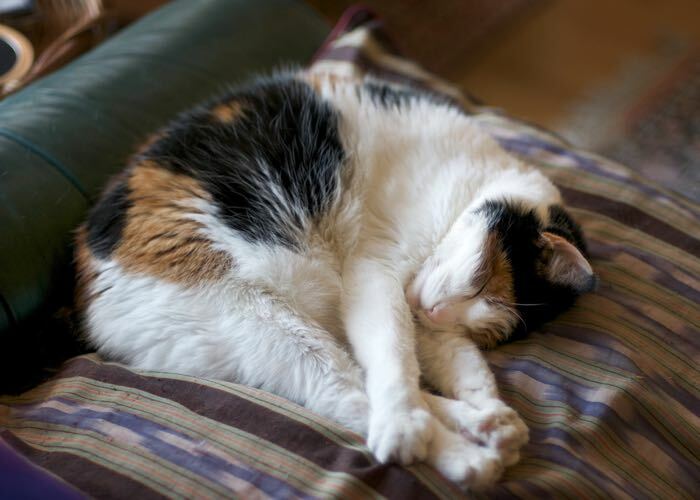 Photo Credit: "She found the cushion" by Frank Jania via Flickr. License info.